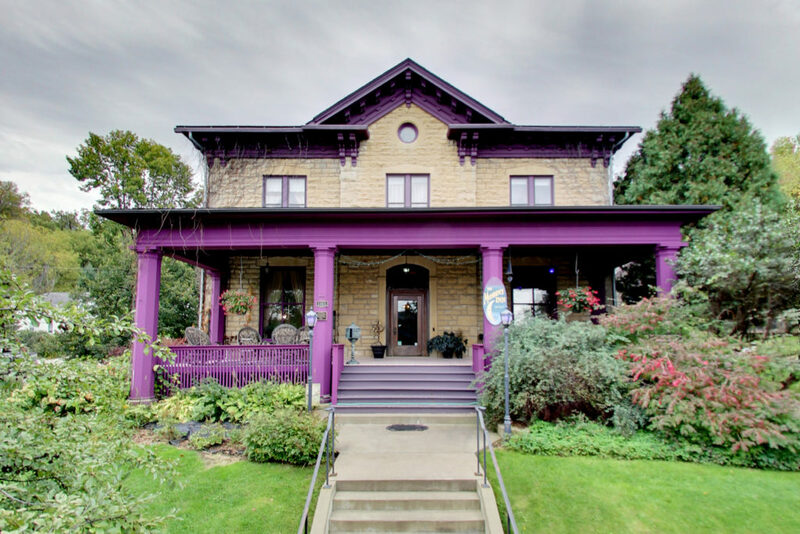 On a large corner lot in Red Wing, sits a grand old home that can’t be missed, what with its purple porch and decorative eaves and brackets. It’s the home that Augustine Boyer Hawley built for his extended family in 1875. Sadly, he only enjoyed it for few years, dying at the young age of 44 in 1878, leaving behind his wife and 8 children. One of the most generous things an old Minnesota family can do is donate their family history to the Minnesota Historic Society. Letters and papers help tell a story of not only their family members, but many times the history of the places they lived. There is a vast archive at MNHS about the Hawley family in Red Wing, including personal letters, that are a very intriguing read about the Hawley family, Red Wing, and history of the Minnesota and the United States. Hawley was instrumental in helping establish the Christ Episcopal Church in Red Wing, inspiring his college classmate Reverend Edward. R. Welles to move to Red Wing to become the church’s first minister. Welles later became the first Episcopal bishop of Wisconsin. He also encouraged a fellow class mate of Hobart College, Dr. Charles Hewitt, to move to Red Wing to take over his medical practice in 1867. Hewitt, already a distinguished doctor for his surgeon skills and preventative approach to medicine, agreed. Hewitt later helped found the Minnesota State Board of Health in 1872, and after studying at the Pasteur Institute in Paris, in 1890, he established the first laboratory for producing the smallpox vaccine in the United States on Dakota Street. The home was built circa 1875 in the Italianate style out of locally quarried limestone. It features 15 foot tall ceilings and 18+ inch thick walls. The photo below shows details of the original front porch: thinner columns, decorative brackets, and a narrow full facade porch (all indicative of the Italianate period). 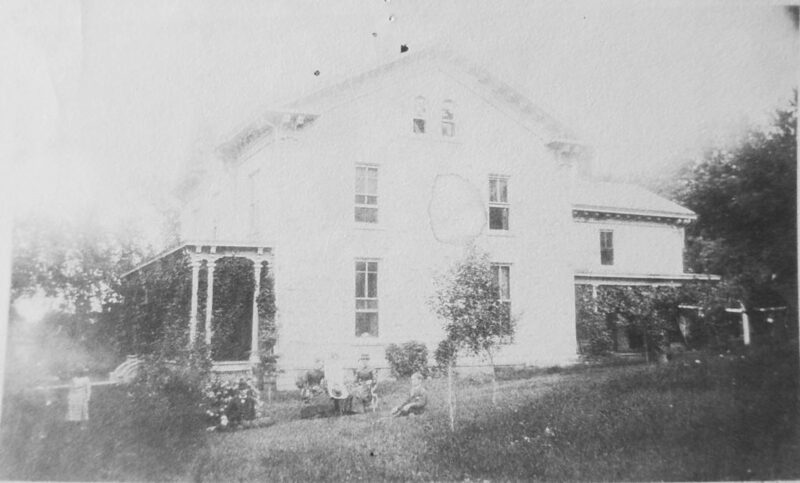 In 1903, the home was purchased by Albert F. Bullen, secretary and treasurer of the Minnesota Malting Company, who initiated a major remodel of the home two years later. The architectural firm of Purcell and Elmslie was hired to transform the interior of the home into the more up-to-date Arts & Crafts style that was popular at the beginning of the 20th century. Today the home is a fine example of how even historic homes, at one time, have undergone remodels to more “modern” styles. As for the Arts and Craft remodel, the original oak staircase, which extended straight down towards the front entrance, was replaced by a curved walnut staircase extending into what was once a main floor bedroom. A formal dining room, with coffered ceiling, paneled walls, and an elaborate buffet, replaced a second, main floor bedroom. (These two bedrooms were occupied by the 2 dowagers, Mr. Halwey’s mother and his mother-in-law.) The formal living room was expanded from two rooms into one with major additions: grand wood beams to the ceiling, relocation of the fireplace, tapestry applied to the walls, and Tiffany light fixtures. The front porch was enlarged and changed to what is seen today. 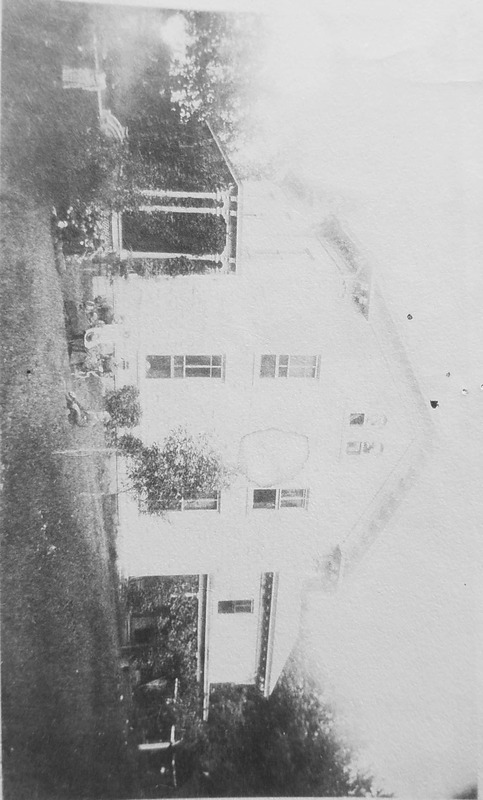 A year before Mr. Bullen’s death, he sold the home to Henry Stebbins, President of the Red Wing Milling Company. Interestingly, Stebbins sold the home 12 years later to the next President of the same company, Harold Meech. Today, the home still retains most of the original features from the 1905 remodel, as well as many of the original 1875 exterior Italianate features. It now operates as the Moondance Inn, an established bed and breakfast in Red Wing. The Bed and Breakfast is also For Sale with more photos and interactive tour at the Property Website. The front porch remodeled in 1905. The front parlor originally had a corner coal burning fireplace. The main living room was opened up from two rooms with the addition of a wood burning fireplace during the 1905 remodel. The formal dining room was created from an original bedroom in the 1905 remodel. This room was originally a front bedroom and was opened up during the 1905 remodel for the new staircase. A chandelier thought to be from the 1905 remodel. The newel post design from the 1905 remodel includes a motif that became a signature design element of architect and designer George Elmslie. This entry was posted on Wednesday, April 18th, 2018 at 6:19 pm	and is filed under Arts and Craft, Bed and Breakfast, Italianate, Minnesota Historic Homes, National Registry, Purcell and Elmslie, Red Wing, Stone. You can follow any responses to this entry through the RSS 2.0 feed. You can leave a response, or trackback from your own site.